The Pro-Vice-Chancellor (Research) is responsible for developing and implementing our Research Strategy. 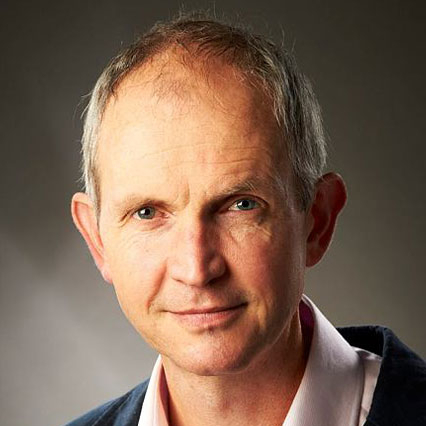 Professor Jonathan Knight took up the post of Pro-Vice-Chancellor (Research) in August 2015. As Pro-Vice-Chancellor for Research, Jonathan assumes responsibility for Research at the University. He also leads on the GW4 research infrastructure workstream. After completing his PhD, Jonathan worked as a research fellow at the École Normale Supérieure in Paris and at the Optoelectronics Research Centre in Southampton. He was Head of the Department of Physics here at Bath from 2008 to 2013, and Associate Dean for Research (Science) from 2013 to 2015. He was the founding director of the Centre for Photonics and Photonic Materials and has published over 200 peer-reviewed journal papers in top-flight international journals. He was the winner of a Leverhulme Research Fellowship (2009), the Institute of Physics Optics and Photonics Division Prize (2012), the Rank Prize for Optoelectronics (2018), a Chinese Academy of Sciences Presidents International Fellowship for Distinguished Scientists (2019) and Fellow of the Royal Society (2019). Jonathan completed his PhD in 1993 at the University of Cape Town.